Histories: The Ceylon Connection ? My Mother told me, on more than one occasion, that Percy Hyde BIRD, my grandfather, owned a tea plantation in Ceylon, although on another occasion he was described as a tea planter. I have therefore been intrigued to find out if the family had some connection to George BIRD, the father of coffee plantations in Ceylon and responsible for the earliest known use of Tamil labour on the island. 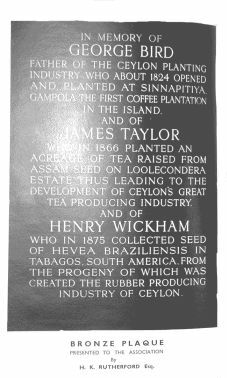 George Bird was a pioneer coffee planter and considered the father of coffee in Ceylon. He was the first to plant this crop on a commercial scale. He was the second brother of Colonel Henry Bird, Deputy Commissioner-General to His Majesty's Forces in Ceylon during the Governorship of Lieutenant General Sir Edward Barnes K.C.B. (1824-1831). encouraged the systematic cultivation of coffee. Governor Barnes encouraged George Bird to start on a large coffee plantation and gave him 400 acres and a tax-free loan of 4,000 Rix dollars and, with it, began the plantation story. "George Bird gave encouragement as he felt the labourers were destitute of religious instruction. He was anxious to establish a school for educating labourers children and the first to respond to this appeal was the Kandy Friend-in-Need Society". 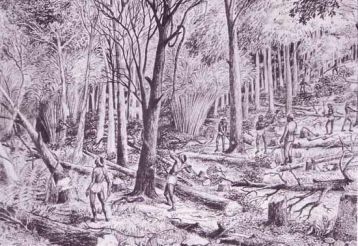 The first batch of immigrant labourers from South India, Tamils, to work the coffee plantations were imported by Bird and Barnes, in 1828. Ceylon Tokens possibly originated at Gampola and these are tentatively associated with George. This article refers to George being present in 1862, by which time he had been dead 5 years ! How is George related to my Bird tree ? Apart from having been verbally told by my Mother that my grandfather, Percy, either owned or worked on a tea plantation in Ceylon, the only evidence I have found is in Percy's WW1 Army Book. Prior to WW1 he was in the Middlesex Territorials and his Army Book says his occupation prior to the War was "Planter (Ceylon)". It also says he has slight knowledge of Tamil Singhalese (sic). On the Sri Lanka Genealogy website “Ceylon Name List 1800 - 1900" he is listed as a scholar born in 1868 (Surrey). He is on the 1881 Census : born Ceylon 1868 at The Royal Asylum of St Anne’s Society, Streatham Hill, Surrey (http://www.redhill-reigate-history.co.uk/stannes.htm) which was a school for orphans and children whose parents had fallen on hard times “to provide care and education for poor children”. There is no trace of him on either the 1891 or 1901 Census's. My working hypothisis, a long shot I will admit, is that our connection could be through the mystery name 'HYDE' and that the “HY” in CHARLES HY BIRD is an abbreviation for HYDE (as in PERCY HYDE BIRD) ...... although more likely to be Henry ! Lionel was born in Ceylon about 1837. The 1851 Wales Census provides information that he was living with his uncle, THOMAS DAVIES (born 1808) who was married to LUCY DAVIES, nee BIRD, in Trevethin, Monmouthshire. They are living at the New Parsonage where THOMAS DAVIES was the incumbent. Some years ago, I wrote to the current Rector of Trevethin Church to see if he could help me find out if I was related to Lucy but I never got a response. I have recently heard from a local historian looking into the Parish of Goytre that her research includes research on the Bird / Byrde Family living at Goytre House. There is a fascinating story about how Henry BYRDE, who had changed the family surname from BIRD by deed poll in 1863, rescued a young girl, Elizabeth Hicks, from some North American Indians before marrying her and returning to build a home in Goytre. Details of the book about Elizabeth Hicks and her life can be found at http://www.goetre-llanover-churches.btck.co.uk/HistoricBookReprint. Anyway, I understand from her that Lucy was a daughter of Henry & Elizabeth and that she married the Rev. 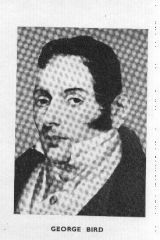 Thomas Davies who was rector of Goytry between 1830 - 1834 and of Trevethin between 1834 - 1863. Lucy died in 1861. I have, so far, not traced her to my tree. Lionel was Assistant Wattagodda on the Dimbulla tea plantation in “Petersons Ceylon Almanac 1870” and on the 1881 Census : Born 1840, coffee planter, unmarried, living at Burghill Lunatic Asylum, Burghill, Hereford. He died, aged 46, in 1886 in Herefordshire, Monmouthshire. My belief that I will eventually discover a connection to George, the father of coffee, is pure speculation but is one of the reasons I find this genealogy game so interesting. It is trying to make sense of a number of unrelated facts until the jigsaw is complete .... if ever it could be ! George Bird died in 1857 - click here to read his obituary.